Come and find out why trainers have been raving about their experience working with Mark and learning about Training Between the Ears (TBTE). Hear why this system has made their training/business more fun AND more successful for them and their students. Join us to see and learn how this gentle and simple process can transform very difficult dogs and change their relationship with their owners all while being easier for the trainers, students, and dogs. Whether your connection to dogs involves rehabilitating rescue dogs, competing with performance dogs, helping clients with difficult dogs, or just enjoying your own pet, this discussion is for you. Mark’s thoughtful, respectful, and innovative approach to communicating with your dog can help you eliminate the conflict in your training and relationship while getting more of the behavior you want and less of the behavior you don’t. This approach creates a close, trusting, and enjoyable relationship for both the dog and their people. Have you heard of and wanted to know more about Kayce Cover’s work creating SATS (Syn Alia Training Systems), Bridge and Target, Perception Modification or Conditioned Relaxation? As one of the world’s few Level 3 certified trainers in SATS Perception Modification and Bridge and Target, Mark will share what these tools are and can help you understand why these tools and others have been credited with helping to solve some of the most challenging of problems and do so in a way that is truly transformative to dogs and their quality of life. Mark will show you how to directly teach a dog the kind of behavior we want such as how to relax, how to greet guests calmly, and how to make better choices without the very indirect tools of obedience so often used in training. We’ll explore concepts such as: why does a dog need to sit when greeting people if it can be perfectly well-behaved doing natural behavior; how to teach a dog to choose a highly desirable behavior on its own with great reliability and without intervention or direction from its owners, and; why do dogs need to “go to place” when they can easily learn to be a calm, involved member of the family when new people come in the home? 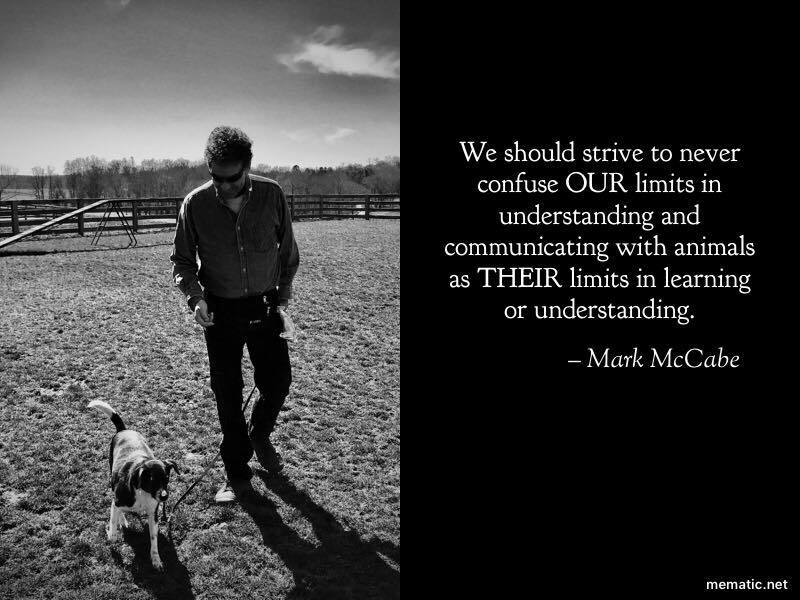 Mark’s approach is of value to all dogs but especially those which have been hard to reach, those which are reactive, aggressive, hyper-intense, highly anxious, or fearful. His focus is on understanding and valuing the internal state of the animal and actually changing how the animal feels about people, other animals and things in its environment, not just on its external behavior. Follow the event page on Facebook for updates and to connect with other attendees. Level 2, Obedience & Loose Leash Walking. Dec 17, 2018, Level 2, TBTE techniques for noise phobia and separation anxiety.